The bank holiday is an opportunity for people to head out of (or into) town and visit friends, relatives – or even jet overseas for a short break. But those driving in the UK will not just encounter a change of scenery, but a large difference in the cost of filling up the car. 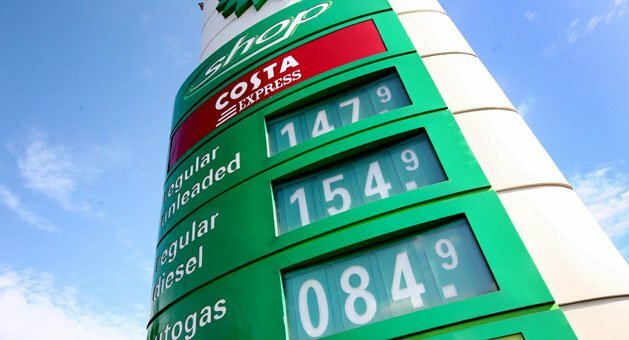 Figures from Santander show there’s a 16.2p a litre difference in the petrol prices paid by Brits in different parts of the country, meaning filling up could cost you £10 more (or less) depending on where you go. Looking at credit card data, Santander compared the prices paid for unleaded at petrol stations across the country - the cheapest region to fill up in was Grampian in Scotland with an average petrol price of 129.7 pence a litre. Outside of Scotland, Denbighshire in Wales has the cheapest price per litre of 130.9p. Regionally, north-west England was cheapest at an average of 131.9 pence per litre of premium unleaded fuel. As well as the cheapest place to fill up in Britain, Scotland is also home to the most expensive – with a litre of unleaded the Shetland Islands costing 145.9p on average, more than anywhere else. After the Shetland Islands, Humberside was the next costliest place to fill up, where petrol costs 137.9p a litre. That high price helped push Yorkshire and Humberside to the top of the most expensive region table. The savings available to people in different countries dwarf those available to people in different parts of the UK. 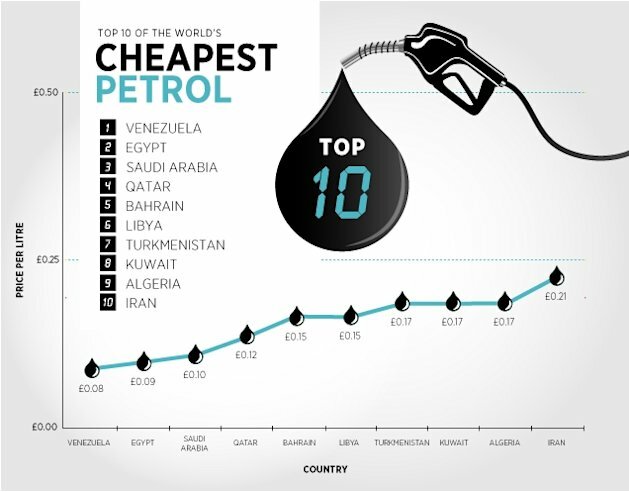 New research from car dealers Evans Halshaw shows Venezuela is the cheapest country to by petrol in for the second year running. At just 8p a litre, the South American state has a bigger petrol smuggling trade than a drug smuggling one – especially given that residents of neighbouring nation Columbia pay more than 40 times as much for their fuel. After Venezuela, Egypt (9p a litre), Saudi Arabia (10p a litre), Qatar (12p a litre) and Bahrain (15p a litre) are the cheapest countries to but petrol in. By contrast, Norway was found to be the most expensive country to fill up in – with petrol costing an astonishing 1.64p a litre in the Scandinavian state. Turkey (£1.62 a litre), the Netherlands (£1.48 a litre), Italy (£1.46 a litre) and Greece (£1.45 a litre) were the next most expensive.